3.75 cm long not counting the ear hook .femine earrings. 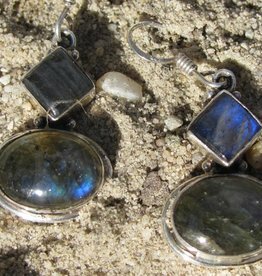 Hannd faceted rainbow moonstones. Material is silver with an electroplated gold layer.